BestAIR Pro is the brand that trade professionals use and trust. We provide the highest quality filters and parts that allow HVAC service techs to perform their jobs with extreme confidence. All of our filters are made in the USA, UL listed, designed to maximize particulate capture rate, minimize pressure drop, and help extend the life of HVAC equipment. 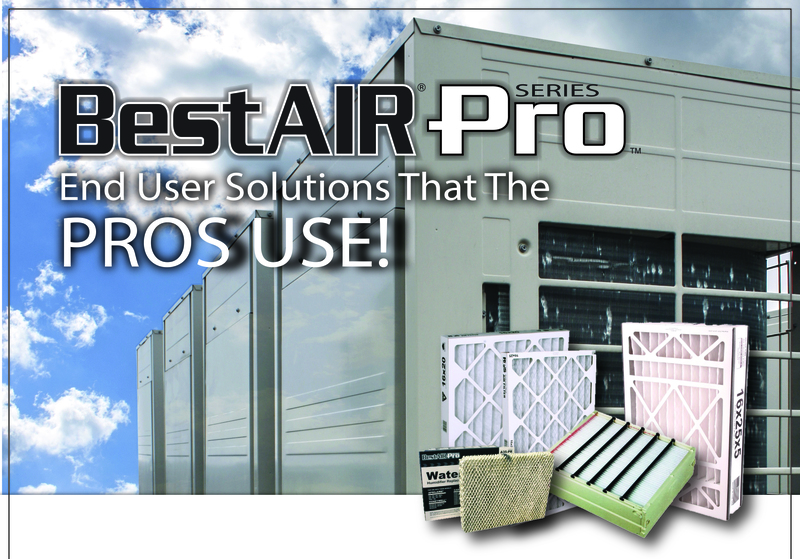 BestAIR Pro is a leading manufacturer of pleated media filters, humidification filters & bypass humidifier water pads, residential air cleaner filters, treatments, accessories, and many other HVAC service equipment. Our centralized manufacturing and distribution centers in the Greater Chicago Area allow for us to provide quick turn around times and deliveries form our well stocked inventories. Our wide range of products allow you to offer the best selection of quality USA made products to your customers. BestAIR Pro has the widest selection of air cleaner filters that are designed to optimize the performance of your name brand OEM equipment. We also have a wide selection of pleated filters from 1” to 6” in depth. We carry a large assortment of whole home bypass humidifier water pads that are designed for use with all of the major brands. We carry both coated metal pads and the new technology, white water paper pads for more moisture holding capacity and less water usage. Contact your sales representative for a complete listing of all of our products and parts for more information. BestAIR Pro has been manufacturing products in the USA since 1964. In 50 years’ time, we have introduced many new innovations and technology to the indoor air quality market. Today, we have three manufacturing & distribution facilities in the Greater Chicago Area that allow for us to maintain excellent service levels, on time delivery, and quick turn around to ensure that products arrive when you need them. We stock a large inventory of the fast moving “A” items on the floor of our distribution centers and our centralized shipping location ensures minimum transit time. Our quality assurance protocols allow for us to continually offer best in class American Made goods and give you and your trade professionals the peace of mind and confidence they need to do the job right the first time. When it comes to leading edge technology, BestAIR Pro uses end user derived insights to develop meaningful innovation for our customers. 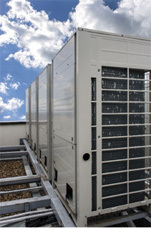 Our in house research and design labs, testing facilities, and rapid prototyping allow for us to create custom OEM solutions for our customers that enhance their HVAC service tech’s capabilities and reduce time on the job site. We also offer private label programs & custom pleat programs for those who wish to differentiate their own brands in the market place.